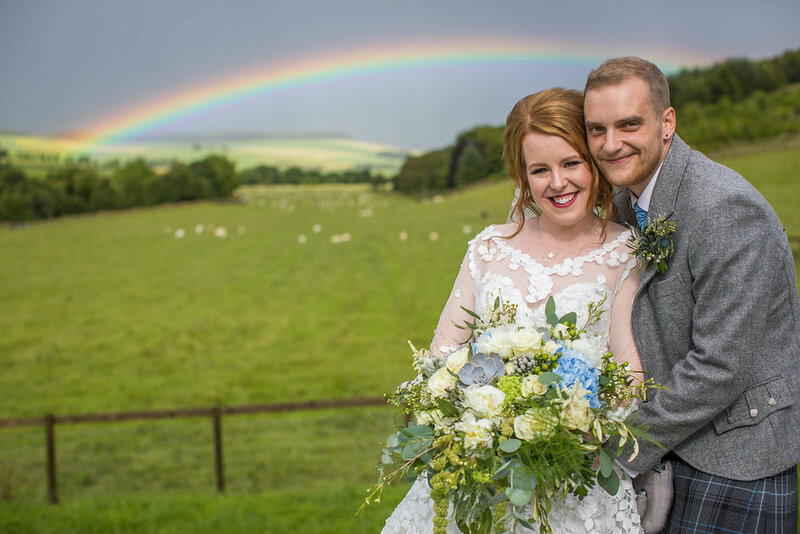 Well, being born and bred in Scotland and having lived here all my life, I must say there is a high chance that I am a little biased towards the many reasons why Scotland makes a fantastic destination to host your Wedding. That said though, there are some really important practical and emotional reasons why you should seriously consider Scotland as the place for your marriage to begin. Have you ever had your heart jump into your throat on seeing the beauty of somewhere? Well, there is simply no arguing that Scotland has some pretty immense, ancient places where you can be married. Historic castles, luxurious estates and even castle ruins are all feasible places that you could choose to tie the knot. Many couples choose to get married in Scotland because of a family heritage tie to a particular castle, clan or district and this can be a really meaningful event for many families who have perhaps never visited Scotland. Many castles offer an incredible setting for your Wedding too – inside and out, typically very grand in nature and adorned with many historical pieces of furniture and art – which are usually timeless in beauty. Whether your vision is a pink turreted castle, an exclusive castle or clifftop castle ruins, there is almost certainly bound to be a place which is the perfect fit, many even have their own Chapel which means you can host a religious, humanist or civil ceremony in these stunning locations. I know, this sounds too good to be true but trust me on this one, it’s the truth. Here in Scotland, so long as someone legally ordained to marry you agrees to marry you in the place of your choice, you can be married there. So for example if you want to take your vows under an ancient Fir tree in the middle of a forest, yep you can do it (So long as you are willing to do it despite any potential weather mishaps!). The chances are, if you are already reading this article, you’ll already have found some incredible images of the natural beauty of Scotland – perhaps you’ve already spotted an elopement in Skye or an intimate destination wedding at a lochside castle. What could be more romantic than a Wedding in a location like this, with a picnic basket to hand (and perhaps an umbrella just in case) to enjoy afterwards? While Scotland is a contemporary country with all of the regular amenties you’ll be used to, we are very lucky that every major city is just 15 minutes drive from a beautiful view. You could find yourself married between two mountains or on an estate with a herd of deer - or if you have a hire car you could stop by a loch with a packed lunch or even drive to a remote location outside of the cities at night to gaze at the beautiful stars. 4. Food and drink...it's not just Haggis but you ought to give it a try! Yes yes, we all know the old myth about the man who is employed as a haggis catcher and whisky and haggis are probably what most believe to be the traditional Scottish diet! Not forgetting Irn Bru and Fish & Chips of course! In fact though, Scotland offers a really outstanding variety of cuisines and is one of the finest producers of local produce in the UK. Seafood in particular is of an excellent, fresh standard – Langoustines, Oysters, Mussels and lots of varieties of fish are all examples of seafood you could eat one evening that had been caught that morning! Scotland is also the home of the world famous “Aberdeen Angus” beef and is also a producer of some excellent cheeses. Scotland is also home to the now world-famous craft beer producer, Brewdog as well as of course the delicacy that is the deep fried Mars bar! Of course, Scotland is famous for the rain and there is no denying, it can be rainy on any day of any month but when the sun is shining on a lush Spring or Summer evening or a crisp autumn or winters morning, really Scotland’s weather can be stunning. Many of our clients come to Scotland with hopes for a particular type of weather, whether that is moody mist in the mountains (February, March & October are probably best months for this), sunshine (May through to September are good times of year for this) or even Snow (It’s a common misconception that it snows in Scotland around Christmas time, its acutally usually late Janaury/Early February and sometimes even March that we see snow). Believe it or not, Scotland also has some stunningly beautiful beaches, some by the ocean and some by the many lochs. Besides, they say rain on your Wedding day is good luck here! In Scotland, while the weather may not always be warm, the hearts of the people here usually are and you can expect nothing less than a warm welcome from the population. It is not uncommon for people to strike up conversation while waiting at the bar for a drink or waiting in a que at a shop. You’re bound to find just about everyone you recruit for your Wedding will have a light-hearted approach to dealing with you and will make you feel really comfortable, all the while remaining completely professional. Even the most upmarket of venues and restaurants will make you feel very at home indeed. Of course, by making the decision to host a destination wedding, you will almost certainly be likely to see that your estimated spend will reduce in quite a number of areas. In addition to that though, here in Scotland we can offer stunning exclusive use venues which while expensive will offer an incredible experience for you and your relatives but we also have a truly superb selection of 4 and 5 star hotels which will accommodate yourselves and your guests at a very reasonable value. As is common in the Wedding industry, you will certainly benefit by considering a mid-week or out of season Wedding and I’d certainly suggest seriously considering the weekday option if you are to travel from a time zone with a difference of more than three hours. This will mean that you and your guests can travel on the weekends, will have enough time to overcome jet lag and you’ll benefit from a better rate at your chosen venue as well as much better supplier availability too! You could literally have your pick! Something that I am commonly asked when exhibiting at Wedding Fairs is “So what is it that you actually do?” and for a while, I found this a challenging question to answer concisely. In truth, it is so wide and varying as well as so unique to each couples requirements that it can be quite difficult to summarise. In todays blog I summarise the seven key things that most Wedding Planners will do for you, depending upon the service package that you arrange to book with them. However this list is by no means exhaustive – for example I ran out of items before I could suggest “Get extra loo roll from the local supermarket when the venue runs out” and “Dash back to your Parent’s hotel to get your Marriage schedule because your Dad actually forgot it”…. Want to see how you can save money with Timeless White? Take a look at our Exclusive Dreamlist. Your Wedding Planner will be able to make recommendations for you on suppliers who fall into your own unique requirements – budget, style and approach all in mind. Perhaps you really hate having your Photograph taken but really want beautiful keepsake images of the day, the chances are that your Planner can recommend someone with a very relaxed attitude who falls within your budget and still captures amazing images. This saves you spending time meeting with suppliers that you just won’t consider a good match for you and also means that your Planner has already suggested people who fall within your budget so that any vendor meetings don’t fall apart when the talk of money comes up. 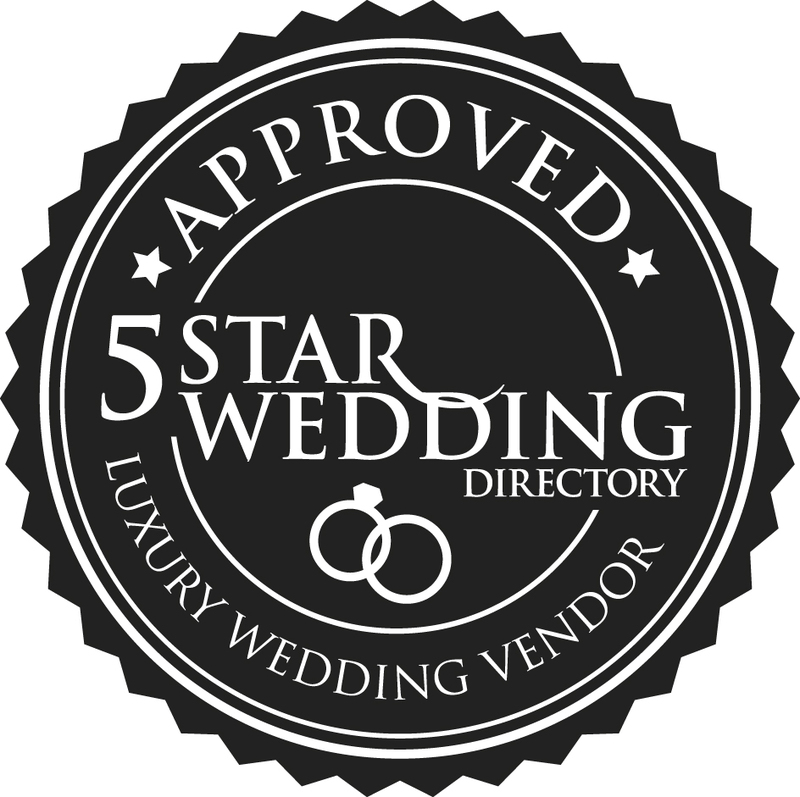 At Timeless White, we are pleased to give all of our clients access to our incredible Dreamlist of some of Scotland’s very best suppliers, hand-picked by us as genuine and whole hearted recommendations. Nobody pays to be in there and nobody pays us if you book them – You simply have access to incredible recommendations and discounts from the outset, sometimes able to save the equivalent of our entire Wedding planning fee! Lets face it – your unlikely to have been through the paperwork process of getting legally married before and all those fancy words on government websites can make it look and sound a bit complicated! Your Planner will be able to guide you on the papers you need to submit, the timing of your submission and to advise you on which documents you will need to provide. This is something that really has so much value, because it can be a real worry and headache – especially if you are being married in a foreign country. At Timeless White, we give our international couples access to a guide to getting married in Scotland that we have prepared specifically to help our clients through the process. It’ll come as no surprise to you that everyone involved in your Wedding day will be keen to learn as much as they can about the day. Interested suppliers – Great. Lots of questions – Not always so great. This is when your Planners role comes in to play – Your Planner can advise all of your Suppliers on most of the detail of your Wedding and act as a bit of a shield between yourselves and more questions than you care to repeat the answers to. Something that is important to remember is that any good Planner will never assume answers for you or make decisions without running the questions by you first – so you are never cut out of the decision making process, only some of the administrative/organisational pressure is removed from you. The B word has a lot to do with everything to do with your Wedding – The timing, the styling, the number of guests, even what you eat and drink on the day are all commonly affected by the budget. At Timeless White we issue our clients with a Budget planning spreadsheet to assist you in understanding typical costs of each Supplier (From Bagpipers to Fireworks and everything in-between) allowing you to then see the bigger picture, before tweaking things to get to the figures you wish. An experienced Wedding Planner should be able to give you advice on creative ways to save and spend money, as well as give you an honest opinion about whether that £500 candy bar is really going to have as much of an impact as you think. Every Bride-to-be has a Wedding Pinterest board or a good old fashioned book of inspiration – It would be silly to pretend that your Wedding Planner is going to be your only source of inspiration. Of course not! But she will be able to get a sense of the overall vision and look that you want to present on the day and will be able to tastefully work with your budget to achieve that look. Whatsmore, your Planner will know where you can get something that seems impossible to find, be able to suggest new trends that your Friends might never have seen before and will also be able to suggest unused spaces at Wedding venues that make cute corners for themed Drinks trolleys or suit some adornment. It’s the week of your Wedding and something, anything goes wrong (Your boiler decides to die for example!) – Your stress levels are going to be really high. Suddenly your time is consumed with worry and trying to keep ontop of various beauty appointments, visiting family, last minute DIY projects for the day and collecting dresses and kilts. This is where your Planner suddenly becomes your Fairy Godmother – Your Planner will typically deal with anything that comes up the week before your Wedding as far as possible. So no matter what happens in the lead up to the day or on the day itself, you can be assured that an experienced professional is handling any and all questions, issues and changes that might arise in relation to the event itself. Something that we are told at every Wedding is how much of a huge relief it is to just know that someone trustworthy is there in the backround in the lead up to the day and on the day itself, quietly taking care of anything and anyone that needs it. Insurance? Boring you say! Well, there’s no denying that but its also something that should be seriously considered when you are in the process of Planning your Wedding. The chances are you don’t imagine spending your Engagement reading the many dry pages of insurance T&C’s but as with anything, the time invested in something like this can be hugely beneficial should you actually need to rely on it. Luckily for you, your Wedding Planner should be relatively well versed when it comes to the downfalls of some insurance providers and be able to make a recommendation based on the best level of coverage. Of course, Wedding Planners are by no means insurance experts, so you should always just double check the details before going ahead yourself.